Why can't you get a sample of super-thermite? I think you can, if you will actually try. Or are you like NIST which refuses to look? misfire at lower cost. " Working prototype available for demonstration purposes. I urge you to contact Mr. Erickson at LANL and request at least three "prototype" samples of super-thermite matches. Since his interest is in "commercializing", I would recommend telling him that you are doing a special which addresses super-thermite and that this will give his product "free advertising", or something like that... I emailed him several months ago, but I lacked an approach that would help with his "commercializing" the product, which was his interest. I think you could succeed if you tried. Next, if you succeed in getting a few of the "super-thermite matches," I propose to send you the complete paper that we have -- which includes a discussion of these matches along with their potential usage on 9/11. I think that super-thermite "matches" of this type could very well have been used to trigger more conventional explosives such as C4 in the WTC buildings. 1. Ask two independent laboratories to do SEM/EDS and DSC analyses as described in our paper on the super-thermite material contained in these matches. The results would then be compared carefully with those already obtained on red chips found in the WTC dust. One of these labs could be BYU/Dr. Farrer if you wish, since he has analyzed the red chips found in the WTC dust and could act very quickly. (BYU requires that he be paid for any 9/11 research now.) Such analyses are worthy of scientific publication in a peer-reviewed journal (unlike placing bags of commercial thermite next to steel columns). 2. A real demonstration would involve a C4 shaped charge applied to a steel column, with the cutter charge ignited by a highly-reliable super-thermite match (in turn triggered using a remote radio signal). These experiments would test my hypothesis. Note that this is just a few days BEFORE the appearance of our Active Thermitic Material paper, but I had given Mr. Erickson much information from the forthcoming paper. …Dr. Jones, I respect your work and would love to pursue the experiment you outlined... But alas – no product. No nano-thermite. My budget does not provide funds for me to travel to Livermore labs. I just have a small television production to deal with. My attempt was never intended as a “strawman joke” that I’m trying to pull on anyone. I don’t even see where or how to put this measly commercial grade Thermite into the “shape charge” device suggested by Richard Gage. Other than a picture – where do I find a thermite shape charge? And since its not done with nano-thermite that experiment would suffer from the same pathetic criticism. I’m sorry that Richard and David didn’t tell you that the program they watched included a demonstration of a C-4 shape charge. These were readily available and the effect was amazing. I asked demolition experts about setting off charges with radio signals. They said it was very feasible. Everyone seems to agree to the viability of radio signals setting off explosives. That would eliminate some of the primer cord. But the problem is very complex.You didn’t find any C-4 residuals in the dust (at least that I’ve heard you or anyone talk about) so why are talking about C-4? And certainly whatever radio device used to trigger whatever the explosion – those radio items would have been found in abundance. Before shipping anything off to China the WTC materials were combed for personal affects etc. No curious radio transmitters were found. It seems to come back to the CALL for a new investigation. With enough $$ to pursue the experiment you suggest. My company doesn’t have the money. And apparently – even if I’m willing to look... No nano-thermite is available. If we can just get scientists to look at the case... That are willing to address the nano-thermite that aren’t the nano-thermite experts at NIST. Those guys are unwilling to look and yet ironically know all about nano-thermite. Found it -- hope you find this report on an April 2001 conference enlightening (starts I think on page 43). 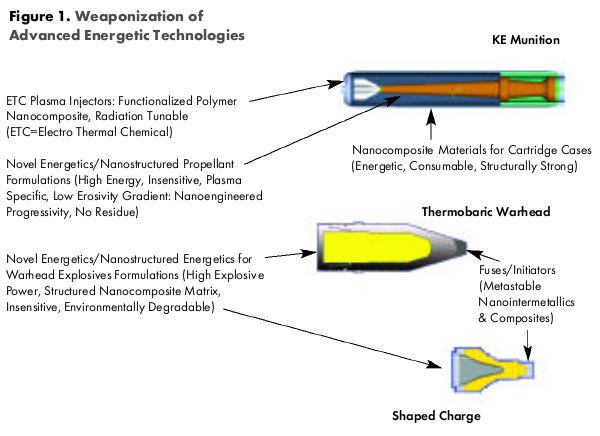 ..As you can see from the NanoTech magazine, super-thermite/nano-thermite has been available for years [before 9/11/2001]. You may wish to contact Tillotson at LANL -- he has answered some of our questions and may be cooperative. Perhaps he could even give you a small sample. It is not transmitters that would have been placed throughout the buildings to set off the charges, but rather receivers. Those could have been made exceedingly small, as well as disguised. Again, rather than putting all this burden on us to answer detailed speculative questions, a fair approach will focus on the more than 100 blatant contradictions and gaps in the official story, which are extremely well documented by Griffin's books, essays by Kevin Ryan, Dylan Avery's film, and so on. Why should we as citizens put up with having such contradictions and gaps in the very foundation of the War on Terror, the expenditure of more than a trillion in defense spending, and the trampling of the Constitution? Even if all we skeptics had ever done was point to those problems, without suggesting an alternate explanation, it SHOULD mean that the US government has a lot of explaining to do. Instead, for some reason we are constantly being asked to speculate about things that other people KNOW the answers to. Producing a video with any sort of "History's Mysteries" or "conspiracy debunking" feel to it, as I am starting to get the impression this one will have, will be a grave disservice to the facts of the matter. Ideally it would have more of a 60 Minutes feel to it, and it's the planners (executive branch) and funders (Congress) of the War on Terror who ultimately should be under the hot, bright light, being asked to explain how this and how that -- not us. They're the ones with the resources and responsibility to perform a full-bore, fully funded investigation with subpoena power and [presumably] no conflicts of interest. They're the ones who have failed on four out of four occasions to do perform any such investigation. Instead they have spent thousands of times the money such an investigation would have required, invading and occupying two resource-rich nations, and bullying and buying their way into others. Hmm, what's an objective person to make of that? How much time would an objective, balanced documentary spend questioning us, as opposed to questioning them? Imagine that you did not know that it was possible for someone such as Babe Ruth or Barry Bonds to hit a baseball out of a ballpark. You are told by some baseball fans (or "fanatics," as you call them) that this is indeed possible. So you decide to test it. But you don't have a baseball or a baseball bat, only a wiffle ball and a wiffle bat. And the Babe is dead and you can't get Barry to come over, so you try it yourself. With camera running, you apologize to the audience for the fact that you don't have quite the right equipment, and that you're not quite as muscular as Barry (you haven't been taking your steroids), but you explain that you must do the best you can with what you've got. With camera rolling, you show your audience, after repeated attempts to knock the wiffle ball out of the park with the wiffle bat, that the idea that anyone could hit a baseball out of the park is absurd. The fanatics are discredited. Good point that just simple radio receivers would be needed, Gregg, and a very helpful analogy, David. I hope the point is not missed that the debunkers such as Prof. Eagar at MIT must now explain the presence of ton-quantities of super-thermite (not ordinary thermite or paint) in the WTC dust. It will not be satisfactory to obfuscate this discovery and its independent verification simply by asking "exactly how was this used in the destruction"? The question is, "What are ton-quantities of high-tech super-thermite doing in the WTC dust?" In so many ways, the Nat Geo program was deliberately edited to reflect poorly on the movement and our evidence. The establishment has too much invested in the official 9/11 myth for the establishment media to ever deviate from the official myth. Aidan Monaghan on Tue, 09/01/2009 - 1:25pm. Watching the program, I found myself very puzzled over how they thought they could get away with such obviously bad science, their so-called "experiments". MythBusters could do a far better job, except they refuse to, which makes me wonder what they know. Anyway, it occurred to me while I was laughing at their melting steel beam over a pool of jet fuel that this is really a very subtle satire on how to do science so ineptly and unfairly that the lack of honesty and integrity will be apparent to anyone with half a brain. But I think we may need to produce an unscrambled version of the video in case it is not so obvious to everyone, where the roles of "Science" and "Conspiracy" are reversed. I believe they repeated the line about three times saying something like "those conspiracy theorists will just deny the scientific evidence and go on believing in their comforting theory" which is ironically true, if we just switch the labels between the true scientists and the Official Conspiracy Theory guys. I also was amused at how they came up with their own alternative conspiracy, after the scientists were appropriately reluctant to speculate. They showed a nice animation of switching planes (which actually may have some validity) and then proceeded to implicate the many thousands of people who might have been involved (most of whom were just blindly following orders) thus making you wonder - how many people really were involved? Of course they had to claim it would be too many people, and someone would talk, but you know, maybe they are talking, and this is how they do it - very sneakily. I am a bit serious here, actually. The truth of the inside job is deeply devastating to many people's safe world view, and if (or rather when) the truth is going to come out, we have to be a bit careful not to trigger riotous panic and a general collapse of civilization, such as we know it. At least that would be my preference. It might be best if those with a very dry and generous sense of humor are the first to wake up. liberte on Tue, 09/01/2009 - 9:05pm. I haven't seen the program but am I to understand that they showed an image of a steel beam melting over a pool of jet fuel? If that is actually possible the experiment should be able to be reproduced in any lab at any time. Every science lab in every school should be challenged to then reproduce the experiment then when it can't be reproduced, questioned why would a credible organization like National Geographic feel compelled to promote such shoddy science? Like I said I didn't see the program but I think this needs to be challenged aggressively. Phaedrus on Wed, 09/02/2009 - 7:30pm. My mistake. They probably didn't say it melted. But the term is ambiguous. The beam softened, twisted, and collapsed with the weight in the middle of the beam. And it happened within a couple minutes. So they proved that what they did is possible, but not that it is relevant. The beam was disconnected from anything else, whereas if it had been connected to other beams, the heat would be conducted out. The heat of the fire was continuous and focused on the one beam, unlike the explosion of the planes that burned most of the fuel very quickly and unevenly. The weight was focused on the middle rather than being evenly distributed, assuming it was supposed to simulate the weight of the concrete floor above. It wasn't clear what it was supposed to be testing. Soft and twisted minds might be impressed. I was impressed by how preposterous it was. liberte on Wed, 09/02/2009 - 10:04pm. There was no heavy weight on the center of the horizontal beams in the WTC. the weight is on the vertical beams. It was just office furniture and people. Proportionally you would have to put something like a cement truck directly on a WTC horizontal beam to be equivalent to what NatGeo did. Truth for a Change on Wed, 09/02/2009 - 10:13pm. appears NOT to be accessible this morning at Bentham Open. But I can't access the article. Anyone else having this problem? ProfJones on Tue, 09/01/2009 - 1:52pm. Last night I accessed it, but not now. I ran into an old friend the other day and emailed him the link last night around 7pm Texas time. It worked then. Not now. TomT on Tue, 09/01/2009 - 2:10pm. They hate that paper. Like poison. RJ on Tue, 09/01/2009 - 2:32pm. Aidan Monaghan on Tue, 09/01/2009 - 2:33pm. Victronix on Tue, 09/01/2009 - 3:32pm. nausea7543 on Tue, 09/01/2009 - 3:52pm. Sitting-Bull on Tue, 09/01/2009 - 4:53pm. Their arrogance will be their undoing. The only way to believe there was not controlled demolition is to believe one can collapse a building such as No. 7 into its own footprint at free fall speed with diesel only. Even in the special, a demolition unwittingly makes the case that it takes hours to set up the charges to bring down even a small building, then why not just use diesel fuel. The produced the evidence and testimony that actually incriminates them. Much like the confession by Larry Silverstein. We need to get our own special on the network and need to start finding the people who can get this happening. And hour and a half show on prime time that shows the Enron power plant in Dahbol, India, the Centgas pipeline fiasco, the presentation by John J. Maresca to Congress pleading for the removal of the Taliban and the physical evidence as regularly shown here, would be enough to spark world wide calls for a new independent investigation into the Sept. 11 attacks. Pride, hubris and arrogance of power, precede the fall. Keep fighting all . . .
Choco on Tue, 09/01/2009 - 2:08pm. nausea7543 on Tue, 09/01/2009 - 3:51pm. "cover up the largest mass murder in US history." There is another example of a bigger mass murder in US history. The holocaust of the indigenous American Tribes. Interesting to know now, that it really happened and who was responsible for it. I wonder if it was just considered a conspiracy back in the 1800's? Truth for a Change on Tue, 09/01/2009 - 8:13pm. "My budget does not provide funds for me to travel to Livermore labs"
"I don’t even see where or how to put this measly commercial grade Thermite into the “shape charge” device"
"I asked demolition experts about setting off charges with radio signals. They said it was very feasible. Everyone seems to agree to the viability of radio signals setting off explosives." "It seems to come back to the CALL for a new investigation. With enough $$ to pursue the experiment you suggest. My company doesn’t have the money." "If we can just get scientists to look at the case..."
TruthgoneWild on Tue, 09/01/2009 - 2:26pm. blubonnet on Tue, 09/01/2009 - 2:32pm. caught my eye, Truthgonewild. Thanks for highlighting them by quoting. ProfJones on Tue, 09/01/2009 - 2:34pm. I couldn't resist pointing those statements out. I love the last one btw. TruthgoneWild on Tue, 09/01/2009 - 4:28pm. Unbelievable how ignorant they are to the facts and how far they will go to create a specific set of circumstances to get the desired results. Like omitting the engines from the plane in the simulation, or the pathetic "projectile vs. explosives" demonstration. Yeah, it makes sense to compare a tube to a bomb because they are so much like a plane and a missle, and plywood and gypsum board are just like the reinforced concrete walls of the Pentagon. Absolutely appalling how rediculous the producers were in portraying those of us brave enough to question the OCT as unable to perceive reality. This constitutes complicity through deliberate misinformation. Dave Nehring on Tue, 09/01/2009 - 2:53pm. TruthgoneWild on Tue, 09/01/2009 - 4:30pm. Deliberate attempt to ignore legitimate avenues of research. I gave a very detailed and explicit breakdown of both Barry Jennings & Norman Mineta on camera. I told Robert if he was serious in any way about investigating September 11th, he would get an interview with Norman Mineta and get his story, on camera, once and for all, and investigate what happened to Barry Jennings. What did we get? Flying rocket experiments and silence on WTC7. enigs on Tue, 09/01/2009 - 3:03pm. "Power" has used the media for ages to advance its agendas. Why should it be different here and now? Aidan Monaghan on Tue, 09/01/2009 - 4:22pm. Let's not get mad, let's get even by maintaining the activism. The only reason for this and other similar broadcasts is to undermine the effect we've had on the public. 9/11 was supposed to be their cornerstone for the future. We are on our way to dissolving it to sand. Aidan Monaghan on Tue, 09/01/2009 - 9:41pm. The deliberate omissions reveal the true intentions. We all knew that there were many edits. This helps put it on a written record. TomT on Tue, 09/01/2009 - 5:54pm. These NG guys are jokers. simuvac on Wed, 09/02/2009 - 10:40am. for "Active Thermitic Material" and found a link, but the link pulled up "IE cannot display webpage" in the central text area. Wow. I wonder what could have caused them to pull that? geoffritchey on Tue, 09/01/2009 - 3:05pm. when I try to access the paper. Could be an issue with the host server? I'm sure it will be back up soon enough. It's not like millions of us didn't download the full paper. Pulling the plug now would be too little, too late. TruthgoneWild on Tue, 09/01/2009 - 5:09pm. Vesa on Wed, 09/02/2009 - 2:34pm. National Geographic has a fantastic reputation. I grew up fascinated by their shows. The truth movement is growing too fast, and the powers that be are going to exploit the finest reputations in an attempt to slow the spread. geoffritchey on Tue, 09/01/2009 - 3:13pm. "No curious radio transmitters were found"
And as the Commission Report would have us believe, no FDRs or CVRs were found either despite the fact that "the WTC materials were combed for personal affects etc." Does that mean the planes carried no black boxes? Thanks for sharing this exchange, Dr. Jones. Illuminating. Michael Fury on Tue, 09/01/2009 - 5:16pm. The idea that very small demolition components would be found at Ground Zero within millions of pounds of WTC rubble (PC's, telephones, plumbing, cable, etc.) and by those not even looking for such material or knowing how distinguish it from other material is rather ridiculous. However, with television one can make the unreal seem real. Aidan Monaghan on Tue, 09/01/2009 - 10:37pm. Bring Those Hit Pieces On! As I said several months ago, the proof 9/11 Truth is posing a growing problem can be measured by the media responses to the Truth Movement. The above proves 9/11 Truth is doing a good job! Also, the more perceptive reader/viewer will see through the obvious agenda of such hit pieces on 9/11 Truth, and do their own research into the subject. brian78046 on Tue, 09/01/2009 - 7:07pm. I agree. "the more perceptive will see through..."
We want the subject of 9/11 to be mentioned. The more it is mentioned, the more people will put attention on the subject. Over time, more and more people will research the subject first-hand, and actually LOOK at the evidence, actually watch documentaries. Of course, not everyone will look. Some people are just sheeple or followers of whatever the herd is doing. But as our momentum builds, even these followers will join ranks. Let's face it, eventually we will have thousands of architects and engineers and professionals in our ranks...that is a real juggernaut. As we grow, it shames the media. TomT on Tue, 09/01/2009 - 8:03pm. ....and thank you Dr. Jones for making your personal correspondence available to us so that we get a clear picture of what went on behind the scenes and avoid any rumors. 911Peacenik on Tue, 09/01/2009 - 9:08pm. TomT, don't forget the desperation move that was underway this time five years ago. This month marks the fifth anniversary of the purge of the top editors at Popular Mechanics (PM). This was the coup that swept in the new Editor-in-Chief Jim Meigs. Later others followed Meigs to PM, including Benjamin Chertoff (cousin of Michael Chertoff', chief of the Department of Homeland Security!) and the always amusing Davin Coburn. Six months later, that coup gave us the infamous PM hit piece article on the 9/11 Truth Movement. In other words, if five years ago they were so worried about the 9/11 Truth Movement's influence on how people viewed 9/11 that they forced a purge at PM, then today they must be absolutely frantic. brian78046 on Wed, 09/02/2009 - 12:27am. I haven't seen it yet but it has to have made some aware that there are people questioning, especially if any have any questions of their own. So while they try to ruin us they are actually opening doors to the possibility of truth. BreezyinVA on Wed, 09/02/2009 - 12:46am. I for one, find this all very depressing. It has gotten to the point that were I one of the researchers, I would just bypass the North American mainstream media and publish elsewhere away from the bias, corruption and convenient excuses. Also, for me focusing on thermite this or that no longer does anything for me. I think it comes down to the naked eye first and foremost. Does it look like a gravitational collapse or is it being helped. That pretty much did it for me. Focusing on science where expert opinion holds the day will always give them the advantage until the bitter end. It is at this point, that science has become a useless pawn for the preservation of propaganda. The science of 911 will never overcome the experts that they will roll out. The experts will tell the people what to think and that is what the American people want especially the so-called educated ones. It's too late now, but perhaps, should there be some other opportunities, Jones et al could provide a list of criteria by which they would agree to go on camera. Perhaps it is they who should do the interviewing first of the so-called producers and reporters in order to reveal their motives, intents and budgetary constraints. Cornelius on Tue, 09/01/2009 - 7:54pm. ............. This concludes your belief.......We were lied to. I only wish i could be half the man you are. Your an inspiration for what is right. Thank you sir! WISDOM on Tue, 09/01/2009 - 8:14pm. for the work you and your colleagues are doing, and for posting this collection of emails which provide useful insight into the deliberate construction of a science, honesty and decency corrupting hit piece. loose nuke on Tue, 09/01/2009 - 8:43pm. Dr. Greening has a nice summary article on WTC nanothermite hypothesis: "Nanothermite" in WTC Dust: Current Status here. My first question to Professor Jones is: "Are there any plans to perform the tests that Dr. Greening has mentioned?" Another question is: "Have you given any thought to asking the 911 Truth Community to organize such that we publicly call on nanothermite experts to render an opinion on the Harrit, et. al. paper?" I'm think of having the community buying a page in university newpapers, of universities that have nanothermite experts in their faculty, explaining the basics of the paper, and asking the named experts to publicly criticize and comment on the paper - good, bad, or indifferent. I personally view the lack of such an effort by the 911 Truth Community as a 'fail'. Science depends on verification, and what kind of verification can we expect when, AFAIK, except for 3 Norwegian scientists who commented, then went AWOL, there's a massive silence about the paper? It seems to me we have to force the issue, or at the very least make it crystal clear that the nano-thermite expert community is ducking. (The latter still leaving us in the dark, but making it easier to guess what such experts really think.) For some of the more zealous 911 Truth community, it is sufficient to have been published in a peer-reviewed paper. However, being somewhat of a student of scientific controversy, I'm quite sure that that's no absolute guarantee of anything. I believe that, if you requested the 911 Truth community to take a brief breather from whatever they normally do, and instead focus on getting nano-thermite experts to publicly comment, this might happen. If so, and you already have a list of, say, 100 Ph.D. level, university researchers in nano-thermite, that could be a nice starting point. Otherwise, you can request that somebody in the 911 Truth community create such a list. Had such an effort already been undertaken, and if the concensus was postive, it would have made Erickson's "budget" problems plainly visible as a sorry excuse for producing propaganda. Speaking of whom, if you ever hear from Erickson, again, please ask him how much it would have impacted his budget to pick up a phone and call a university reasearcher in nano-thermite. His evident 'abortive thought processes' make him eligible for adulation at JREF, and as I'm sure you're aware, that's not a compliment. Please correct me if I'm mistaken, but as no mention is made of Erickson contacting experts to evaluate the Harrit, et. al., paper, I am assuming that this was not done. Is this correct? And if so, did you suggest that he do so? metamars on Wed, 09/02/2009 - 12:29am. mjmackay on Wed, 09/02/2009 - 5:21am. "As you can see from the NanoTech magazine, super-thermite/nano-thermite has been available for years [before 9/11/2001]. You may wish to contact Tillotson at LANL -- he has answered some of our questions and may be cooperative. Perhaps he could even give you a small sample." You are right that all the producer Erickson had to do was to pick up the phone and contact one of the researchers -- this would not have severely taxed his budget. Several nanothermite researchers are named in the NanoTech article I SENT to him as an attachment to the email (see exchange above). In our paper, we already point out the importance of analyzing the organic material present in the red chips -- so of course I agree this is important. A member of our team has undertaken FTIR studies which I hope will provide the answers we seek. ProfJones on Wed, 09/02/2009 - 9:56am. So, I fault the Harrit team for not easily anticipating likely behavior by an aspect of our 'intrepid' media, and looking to mitigate it. However, what's done is done. Please answer my question about you calling for the 911 Truth Movement to force the issue. It's not too late for that, but if I call for it, nobody will care. :-) Unfortunately, the 911 Truth movement doesn't seem capable of generating such a science-friendly effort, without a push coming from somebody famous, such as yourself. metamars on Wed, 09/02/2009 - 10:58am. IIRC, Murdoch is the bozo who bought the Wall Street Journal, and promptly set about degrading it. Specifically, Hicks has said that "Murdoch owns BOTH the New York Post and the National Geographic Channel." metamars on Wed, 09/02/2009 - 11:04am. I really like your idea and I know and have worked with Dr. Jones, so I will see about organizing an effort along the lines you outilne. Assuming our film festival is as successful as we expect, our group should have the resources to make this one of the projects we undertake later this fall and it dovetails very nicely with a project I already had in mind. I'll keep you, and everyone else at 911blogger, posted. LeftWright on Wed, 09/02/2009 - 1:55pm. "Another question is: "Have you given any thought to asking the 911 Truth Community to organize such that we publicly call on nanothermite experts to render an opinion on the Harrit, et. al. paper?" I'm think of having the community buying a page in university newpapers, of universities that have nanothermite experts in their faculty, explaining the basics of the paper, and asking the named experts to publicly criticize and comment on the paper - good, bad, or indifferent." This seems like an unscholarly approach to me frankly, Spero -- "buying a page in university newpapers,"
Have you ever seen a serious scientific team do such a thing, asking for a response use newspaper in this way? I have not, and if I did, would probably not respond to such a "publicity stunt". What I have done is to write to scientists with a copy of the paper and personally (and privately) ask for a response. In this way, I have several responses back -- mostly positive responses. I think this is the way to do it -- and I encourage members of the 9/11 truth-seeking community to approach scientists with copies of the paper and ask for responses. These could be Professors at their respective universities. Excellent approach. Tillotson, Gash, Son, Clapsaddle, Simpson, Puszynski ... But you are right -- I should contact more of these scientists requesting their opinions. If anyone gets a response back from a scientist who actually READS the paper, pls let me know. ProfJones on Wed, 09/02/2009 - 3:12pm. However, given the extraordinary situation, wouldn't it be best to ignore scientific protocol? How do the other members of your team feel about this? Would you support just publishing an extract of the paper in school newspapers (at schools that have nano-thermite researchers), but not calling individuals out by name? (Also, calling them out by name needn't - indeed, shouldn't - be disrespectful.) An intermediate approach would be to address the open letter to "Nano-thermite researchers of University X". I.e., addressing the relevant group, but not naming the members of that group. Would you or any of your group support this approach? Also, please elaborate on what you meant by "and I encourage members of the 9/11 truth-seeking community to approach scientists with copies of the paper and ask for responses". If those responses take the form of personal, verbal utterance "Yeah, I think they got something there" or "No, I think they're mistaken", then that is not going to do either the community of scientists or the larger community of citizens much good. Don't you think it's best to ask the 911 Truth community to solicit written, public responses? Democracy in the US is highly dysfunctional, and a whole host of activists - including 911 truth activists - are trying to "force the(ir) issue". Certainly, Congress shows basically no sign of taking any interest in the matter. I'm pretty sure that you support "forcing the issue", when it comes to the government. Not sure why the scientific community should not be similarly engaged, even if they are not used to it, and even if it's unusual. metamars on Wed, 09/02/2009 - 3:49pm. Dr. Jones- "I encourage members of the 9/11 truth-seeking community to approach scientists with copies of the paper and ask for responses." The entire 9/11 Truth Movement knows about this paper and it has been widely publicized, the title is still getting 198,000 google hits. The top hits for "nanothermite" are related to this paper. Seems likely most people in the scientific community that are interested have heard about it. Experiments should be done to see if the results are replicated, and reportedly they have been, and the research should be published. If Greening, Metamars, JREFers or anyone else can find a flaw in the paper or the work it's based on, let them publish their findings in a peer-reviewed journal. The red-gray chips produce molten iron when heated to a temperature well BELOW the temp iron melts at- it's not paint, and it has thermitic properties. What's it doing in huge quantities in the WTC dust? That's the real question. Certainly awareness should continue to be raised, and sharing the info with scientists, asking for their feedback is a good- then, naturally pressure is going to start building on those parties who are attempting to avoid proper investigations into the WTC destruction and mass murders, and justice, truth, reality, history and the future can be put to rights. loose nuke on Thu, 09/03/2009 - 10:46pm. I don't see many responses, do you? Good, bad, or indifferent. I also wouldn't assume that most scientists who have done research in nano-thermites even know of the paper. If you have proof otherwise, please present it. As for "If Greening, Metamars, JREFers or anyone else can find a flaw in the paper or the work it's based on, let them publish their findings in a peer-reviewed journal." what do you say about my asking my plumber to write a paper for me? I'm kind of busy, these days. But seriously, you need a certain level of expertise to write a paper that anybody would want to publish, much less read. I don't have such expertise. Neither do most physical scientists. E.g., a physics professor at a local university didn't even know what a DSC is. Greening has written course material on DSC's, and has other relevant expertise. IIRC, I asked the Harrit team, twice, if they would provide some chips for Greening, but got no answer. I'm not going to ask a third time. As for getting samples from somewhere else, I don't think that's easy, if it's even possible. Apparently, the USGS has samples, but they're hogging them, just as surely as NIST is hogging physical samples, including the 'meteorite', that Professor Jones asked to examine years ago. So, critical papers would likely only be theoretical, but if enough interest was generated in the relevant scientific community, maybe, just maybe, we could get the government agencies that are hogging samples to stop doing so. Since there is, so far, and so far as I know, a deafening silence of public commentary from the nano-thermite reasearch community on the Harrit paper, my proposal to "force the issue" stands, and still seems more useful than your speculation about the level of awareness of the Harrit paper within the scientific community that matters most, and more useful than your broad-based challenge. As there is at least one other paper in the works, maybe my concern about the paper remaining in a scientific black hole will prove to have been a manifestation of impatience, more than anything else. However, I'm not one inclined to trust to hope, and know how scientists are perfectly capable of acting irrationally (including living in a state of denial, for decades on end), I have good reason for my pessimism. I suggest reading Not Even Wrong and The Trouble with Physics if you doubt this. And take note: those books are examples of "forcing the issue". metamars on Fri, 09/04/2009 - 8:49am. Yes, he goes on and on with his explaining, why tests could be corrupted, and so overlooked the similarity of both the DSC graph of Tillotson and the one of Harrit et al of their probes. Sorry. We do not need scientists like Dr. Greening. That other lab's do not step in is incriminating itself. It sure looks that they know. But have fear about their asses. I for myself played the "dumb" tour by emailing all the experts of Texas Tech and LLNL and begged them to confirm that he Harrit study is bogus. No reply. I once had a polite e-mail exchange with Prof. Thomas Cahill, who answered all my "student" questions politely. He himself had analysed the WTC dust. As I ask about the study- no reply. It's sure it doesn't depend on they don't know the study. Sitting-Bull on Sat, 09/05/2009 - 3:15am. So, what do you say, then, about my idea? Since email didn't work for you, any more than it worked for me, what do you say about taking out a half page ad at Texas Tech? Or should we just trust to hope? metamars on Sat, 09/05/2009 - 7:13am. Any kind of force for them to look at it may be no good idea, we should careful elaborate that we can ruin careers with it. I think the scientists must come in by themselves. If we find any scientists to step in, then most likely not in the U.S. of A.
Sitting-Bull on Sat, 09/05/2009 - 7:53am. Even demonstrating ducking could serve as a powerful stimulus to students at those universities. And frankly, Americans in general need to get educated as to the culture of "go along to get along", in government, in media, and in science. So, even at a minimum, there's a very significant object lesson that could be made accessible. Also, do you really think that any scientist needs to be told that speaking in favor of the Harrit paper could ruin their career? Like every other American, they will have to examine their conscience (if they're at all spiritual), and proceed accordingly. And if their conscience is seared and/or they are, spiritually speaking, mere children, then they are not at all likely to take a risk, for the greater good, anyway. I would agree that taking out ads in foreign newspapers is something to also be considered, though it's not clear to me that there's a very direct route to correcting the corrupt political culture in the US by informing people outside the US. metamars on Sat, 09/05/2009 - 9:31am. "Also, do you really think that any scientist needs to be told that speaking in favor of the Harrit paper could ruin their career?" Not told. They knew it. Intuitively. BTW: Just found out that Alberto Gonzales, long time Bush-family buddy and former general attorney, ended up at Texas Tech. In August 2009, Gonzales began teaching a political science course at Texas Tech University. He will also serve as the diversity recruiter for the Texas Tech University System. Sitting-Bull on Sat, 09/05/2009 - 9:37am. I think we can find a way to do this that will not involve you or other scientists directly in the outreach and still be an effective way to "stir the pot" a bit, which is what I think metamars has in mind. There might also be a better way to do this which does involve you more directly (you may be doing it already, and could just use a bit more clerical support perhaps). I do want to consult with you about this before proceeding, as this does dovetail with another project I have in mind involving the nanothermite paper which I also planned on consulting you about before undertaking. I think one of the problems here is that good science is a very patient process and politics is frequently anything but patient (especially American politics). LeftWright on Wed, 09/02/2009 - 4:17pm. Ha! American politics! What a strange beast! I'm actually getting a kick out of the current town hall meetings, though there's a lot that's bizarre. Only recently did the President announce that he's going to announce what specifics he will insist on being in the final bill. Which may well not include a public option. Which would probably be an insult to the public, even if it's there. (See Taibbi's recent article in Rolling Stone). Meanwhile, the President's leadership has been awful - it's hard to believe he ever really wanted meaningful reform. He was basically exposed in the LA Times and NY Times as having stabbed the public in the back, with regards to his deal with Tauzin - another crook, who would be in jail in a country that had decent laws. Certainly, neither the Republicans in Congress, nor the Senate Democrats, are nearly as interested in serious reform as they are in protecting the profits of pharmaceutical companies and the parasitic insurance companies. We're mostly seeing crooks (Congressional Democrats) fighting with other crooks (Congressional Republicans), and great swathes of the public not understanding what the real fight is about - including the town hallers who are screaming about pulling the plug on granny, on one side, and those standing for a public option, on the other, who seem to have no idea how bad any public option they may get is likely to be (since you see almost nobody calling for a strong public option, much less drawing a "line in the sand" for a well-defined, strong public option.) It's both funny and sad, but at least it's exciting. Looking forward to seeing what you cook up. metamars on Wed, 09/02/2009 - 5:25pm. E-mailed abstract and paper link in April to major university faculty at MIT, Harvard, Yale, Berkley, Stanford and on and on and on. Aidan Monaghan on Wed, 09/02/2009 - 5:14pm. Also, unless you had been a peer in their field (or at least a university professor in a related field), I would have predicted that such emails would be ignored. It can take quite a while to plow through a scientific paper.... That is why I suggested visiting professors at universities, during their office hours, with a printed copy in hand. I at least go an initial response from one such email that I did, in which I was told that this person would get back to me. Never did.... However, the reason I got at least that much was because (I believe) I wrote an explanatory email, and politely asked for their evaluation. Did you also do that? metamars on Wed, 09/02/2009 - 6:36pm. Correct me if I’m wrong, but it seems to me that the Jones Team nano-thermite discovery is one of the most significant, if not the most significant, pieces of evidence suggesting that the WTC was demolished with pre-planted explosives. I know the main stream media is avoiding this story like the plague, but even the truth movement has not really got behind the story and given it the publicity it deserves. The discovery of one of the most significant pieces of evidence is dying a slow death and nobody is paying attention. The Jones Team nano-thermite study does recommend that the WTC dust be looked at for other energetic materials suitable for cutter charges or explosives (i.e., Erickson’s suggestion), as well for further analysis of the organic component of the red chip using DSC, GCMS, FTIR, etc. (i.e., Greenings suggestion). Does anyone have any idea what the cost of the laboratory work would be for the follow-up work Greening has recommended? Does the Jones team have the financial, scientific manpower, and equipment resources to complete the work? Has the Jones Team tried raising funds to accomplish the necessary work through contributions? If there is one area of research that warrants these funds, I think this is it. Put me down for $1,000, I’ll forgo my vacation this year to see the guilty bastards who really pulled off 9/11 to be exposed for the world to see. Let me know if I could do anything else to help. Otherwise, I agree with Metamars, that you have to force the issue and get this study in front of other scientists to comment on, good or bad. We’re dealing with an enemy that has control of most of the other evidence, huge purse strings, and control of the MSM. This is not the time to use conventional scientific protocol, it’s definitely time to start thinking outside the box before this story sinks into oblivion. Miachilany on Thu, 09/03/2009 - 6:13pm. Probably a half page would suffice, with hyperlinks in it, so figure $200. So, you could probably get about 5 schools exposed, with your generous donation. metamars on Fri, 09/04/2009 - 11:04pm. Well, I believe that this will stir up more interest too. There is no shortage of compelling evidence available on our side. So, it is unlikely that those that are already sold on the government theory will be moved into investigating. But, curious minds will certainly look further. ANY of the documentaries on our side of the discussion will crush the National Geographic, and/or Popular Mechanics dry lab jobs. That is if honest objectivity (usually existing in the curious mind) is used. This could even help us in the end. Sooner or later, the government version will be regarded with disgust and incredulity. Remember, despite past hit pieces, the 911 Truth movement has STILL continued to grow! blubonnet on Wed, 09/02/2009 - 12:41am. Have you all read the commentaries on the hit piece at NG ? Check it out. It is encouraging! blubonnet on Wed, 09/02/2009 - 1:06am. Joe on Wed, 09/02/2009 - 5:23am. They started it, let's finish it. BreezyinVA on Wed, 09/02/2009 - 8:51am. If am to accept that National Geographic simply attached a bag of thermite to a steel column and ignited it (An experiment which seems clearly and deliberately set up to fail and/or mislead the viewer of the experiment), then why didn't National Geographic test this for the sake of objectivity? I am not saying this device was used, I am just saying that this device seems actually designed to apply normal (not even nano-) thermite to steel structures for the purpose of controlled demolition, and it was patented pre-9/11. If this was for the commercial domain, then what could the military have been capable of? Why even address nano-thermite, besides that claiming nano-thermite doesn't exist or is "unavailable" is a lie bordering on fraud? Their thermite experiment is neither realistic nor sincere. It's like that documentary (History Channel) where they recreate the magic bullet shot....cheat.....(and fail)....but nevertheless declare victory. Who's really unable to deal with evidence contradictory to personal beliefs here? SnowCrash on Wed, 09/02/2009 - 12:31pm. Flash works fine on my Ubuntu 9.04 box. zombie bill hicks on Wed, 09/02/2009 - 2:20pm. SnowCrash on Wed, 09/02/2009 - 4:58pm. Method and apparatus for removing submerged platforms. United States Patent 3,695,951 - Pyronol. Assignors to the United States of America as represented by the Secretary of the Navy. This is a very interesting patent because it explains exactly how this material can be used as a cutting torch. Truth for a Change on Wed, 09/02/2009 - 2:49pm. First off, I would like to commend Professor Jones for the great job that he has done in exposing the truths about the WTC collapse. He has probably been one of the most important and credible scientist in the movement and the scientific evidence he has provided on a shoe string budget is beyond compare. His nano-thermite study (“Study”) pretty much puts the final nail in the coffin on the WTC Official Story. I also agree with Dr. Jones and Gregg Roberts that it is not the responsibility of truthers to come up with the alternate explanation(s) and to speculate on theories. However, I also think that just providing evidence without some explanation of how it may fit into the overall plot, also has its downside. It’s a tough Catch 22 predicament that may be best addressed by giving a range of hypothesis’, with the appropriate qualifiers of course. That aside, I think Michael Erickson made a couple of credible points and that there are probably several areas that could use Dr. Jones clarification. Dr. Jones states in his above e-mails that he thinks the nano-thermite was probably used as a “trigger,” and not the explosive, and something like C4 may have been used as the explosive. However, per at least one subsequent interview with Jones, he concludes that the amount of nano-thermite used in the WTC demolition was probably several tons (i.e., based on the amount of nano-thermite found in the dust samples). 1. If the nano-thermite was only used as a trigger / igniter, is that consistent with subsequent Jones and Niels Harrit interview conclusions that there were probably several tons of nano-thermite used in the WTC demolition (note: Although the Study does not estimate how much nano-thermite was probably it used, it doses state, “the total mass of red/gray chips in the WTC dust must have been substantial given the fraction observed in the dust samples.”)? 2. The Study mentions that nano-thermite may have been used as both an igniter and explosive (note: Study published about two weeks after e-mail), but Jones’ e-mail states C4 may have been used as the explosive. It would be nice if Jones could clarify for readers which hypothesis is the more likely given the evidence he uncovered and why. 3. Is there really no way to test for C4 residues unless you know the taggant you’re looking for (per Jones e-mail)? It appears that C4 was discovered in both the Cole and Bali bombings from residue found at the blast sites, how does one reconcile this with Jones’ statement that there is no way to test for C4? The Study actually recommends “further testing for energetic materials suitable for cutter charges or explosives,” but Jones seems to imply above that it would be useless. I am not a debunker and still believe beyond a reasonable doubt that all three WTC towers were brought down by pre-planted explosives. However, Dr. Jones nano-thermite study is potentially very important to that hypothesis, so it would also be nice if Dr. Jones could clarify some of the above potential contradictions. Miachilany on Wed, 09/02/2009 - 4:11pm. Perhaps it's time to do some calculations. Suppose nano-thermite was the sole explosive (yes, I call it that) used: how much nano-thermite would it take to blow up one entire floor slab? How many floors would the amount account for? Is the nano-thermite discovered energetic enough, does it produce a fast enough traveling pressure wave, does it have enough brisance, etc. etc. If C4 was used, then what caused all those molten and evaporated particulates? Could that have happened if nano-thermite was merely used as an igniter? Etc. etc. SnowCrash on Wed, 09/02/2009 - 5:54pm. 1. You are correct that the paper refrains from giving a tonnage estimate -- while stating correctly that the amount was "substantial." This is the best way to put it still until quite a bit more data is collected. I spent much of the afternoon today in the lab, looking at yet another WTC dust sample. Dr. Farrer and I agree that the further away the dust sample was collected from GZ, the fewer are the red/gray chips (which is the case with today's sample -- still there, but fewer than the MacKinlay sample for example). Our hypothesis is that the red/gray chips settle out of the dust faster than lighter material. 2. We have the Amptiac publication referred to in our "Active Thermitic Materials" paper which delineates a Cutter Charge with a conventional explosive and with a trigger of nanocomposite (nanothermite in this case). So this is "on the books" as a viable way to do demolition, and it is my personal "best guess" at this time. Hope this helps. 3. As far as I know, there is no way to test for Exploded/consumed C4 after the fact, unless a taggant was present as required I understand by law. Of course, Unexploded C4 could be tested for; that has not been done yet AFAIK. Certainly NIST has not looked for C4 or nanothermite since they stated a refusal to even look for explosives. We already found unexploded thermitic material, and that should suffice to initiate a criminal investigation! I hope that all will understand that the importance of the discovery is that there needs now to be an investigation of what high-tech thermitic material is doing in the WTC dust -- active thermitic material. Exactly HOW the material was used is secondary to the issue of getting a serious investigation with subpoena power going, to find out WHO made the material and WHY. ProfJones on Sat, 09/05/2009 - 12:12am. From an entertainment view, the show was boring & dull. From an entertainment perspective, the National Geographic show was dull and boring. By comparison, many of our 9/11 Truth documentaries are captivating and riveting. These folks at National Geographic really flunk on the entertainment value alone. TomT on Wed, 09/02/2009 - 5:20pm. (d) Nickel-molybdenum steel. This type of steel cannot be cut easily by conventional steel cutting charges. The jet from a shaped charge will penetrate it, but cutting requires multiple charges or linear-shaped charges. Nickel-molybdenum steel shafts can be cut with a diamond charge. However, the saddle charge will not cut nickel-molybdenum shafts. Therefore, use some method other that explosives to cut nickel-molybdenum steel, such as thermite or acetylene or electrical cutting tools. 3-6 Steel Cutting Charges. - (d). Truth for a Change on Wed, 09/02/2009 - 10:54pm. News Corp owns National Geographic. Does anything more need to be said then Rupert Murdoch owner of FOX also owns National Geographic? They can legally lie you know? Adam Ruff on Thu, 09/03/2009 - 4:33am. "those conspiracy theorists will just deny the scientific evidence and go on believing in their comforting theory"
I've seen this several times and it always strikes my nerve. Because I don't believe the "official" story (theory), I know that I'm in the sub group "conspiracy theorist" I won't go through that whole bogus ID/name-calling/framing argument here. What really gets me is that there is some assumption that I am comforted by having this other belief. Is that crazy? Why would I be comforted in knowing that factions in our government may have totally hijacked the republic? I really do believe the opposite is true, that the comforting is done by the mASSes in their non-questioning of what has turned out to be the Psy-Op of the millennium. Most of the people around me live in a faux-comfort stupor, and when I finally had my eyes opened, I was not comforted. For me it was multiple months of stress and non-comfort in all the realizations I had to go through. At any rate, just wanted to vent on this because I've seen that lame debunker excuse a few times. I'm sure others can relate. photopayne on Fri, 09/04/2009 - 12:12am. I can relate, photopayne. When I first saw the destruction of WTC 7, timed it, and worked through other evidences for explosive demolition, I was not comforted. It was a jarring paradigm shift for me. ProfJones on Sat, 09/05/2009 - 12:15am. I woke up to the reality of 9/11 about 2 years ago and although I have done a fair amount of civil informationing at times I have been reluctant to talk about it with acquaintances. Such was the case with the group of adult fans of Lego that I belong to. This weekend, much to my delight, one of the members asked if anyone had heard of building 7 and a discussion ensued. It turned out that all of us that were present were in skeptics of the story given by MSM. Some had just recently started being aware but one member said he was convinced the towers were controlled demolitions from day 1. I was the only one in the group that has been an activist in any way and it indicates to me that there are a lot of people that are aware but silent. There are some people I have met that think that there is nothing wrong with the official MSM interpretation of 9/11 but THEY are in the minority and HEY It may be that I am surrounded by a majority of kooks. Tony Lambregts on Wed, 09/09/2009 - 10:42am. Have you tested your WTC dust samples for explosives? -- RDX, HMX, PETN ? our group only pushed your work at several public free screenings regarding this issue....although defunct now, we are keeping at it. We just did an AM radio show last weekend -- and would really like to get you on or another member of your group on air to further discuss your most current findings. The AM radio station listenership is definitely not the "choir" - and would like to reach them with a very measured scientific approach. ahey on Thu, 10/15/2009 - 7:38pm.